I love my new food processor!!!! 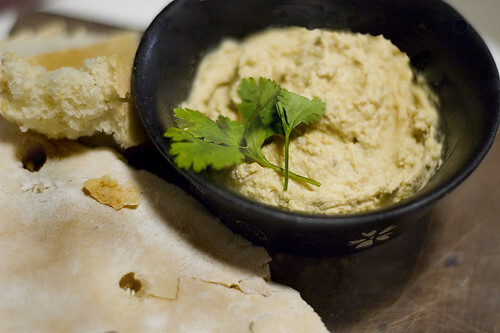 Made hummus for the first time…Yahoo!!! Adding more life to my raw veggies this week! I choose a hummus recipe without tahini because I didn’t have any on hand. The recipe description was “The absolute best hummus without tahini recipe”. This is a healthy snack idea for the afternoon slump. Dip with carrots/broccoli/pepper, pita, or spread over a rice cake. Easy to digest, packed with protein, and heart-healthy Omega 3 and garlic.